To motivate someone that’s dying can be hard because that person has already given up everything that is dear to him to imminent death. For patients who are terminally ill, their Doctors usually told them to go home and put their affairs in order. This usually was an obvious sign to the patient that death was looming. Even for this category of cases, something could occur to prevent that declaration from happening. This life is a mystery and something beyond the ordinary can stop the pronouncement, made by a doctor from coming to pass. The aim of this article is to motivate someone that’s dying to shift his mindset, fill it with hope of defying the odds to join the few, who actually survive despite their Doctor’s assertion that they would die shortly. The strategy to beat impending death may truly be determined by your attitude to that gloomy verdict? Attitude they say is more important than fact. Let’s examine how you could apply some strategies, to possibly give yourself and your loved ones the joy of having you stay longer with them, even though you were told that death was hanging around the corner. This article is broken into two parts. This is the first part but the concluding part will be published shortly. In this first part, we shall discuss how you may beat the odds by your will to live, by your desire to fulfill great goals, by filling your mind with hope of living and by grasping at the slightest chance that your earnest prayer could be answered by God or fate or some forces in the universe. 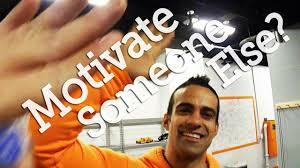 To motivate someone that’s dying to live, would involve changing that person’s mindset. If you can change that pessimistic state of mind, you could succeed in giving that person some hope that just may be they could live and not die. You can achieve that by influencing that person’s thinking to show him why he ought to fight to live. Show him, why he shouldn’t just lie down and wait for death which may not come as predicted. Find a way to awaken the fighting spirit which is inherent in all human beings. Awaken that persons will to live by painting pictures of a future where he would play huge roles in his family, the world stage or his immediate community. The activities that matter to people which you could use to strengthen his resolve to live for something worthwhile includes: his children’s wedding ceremonies, occasions at school – such as taking his children to school and back, parent teachers meetings, accompanying his children to school plays, recitals, dance, open book days and graduation ceremonies. Other occasions where he could play important roles in future include: family outings, thanksgiving services, mother and father’s days, Christmas and New Year festivities etc. NEXT POST Next post: Who Is A Leader?